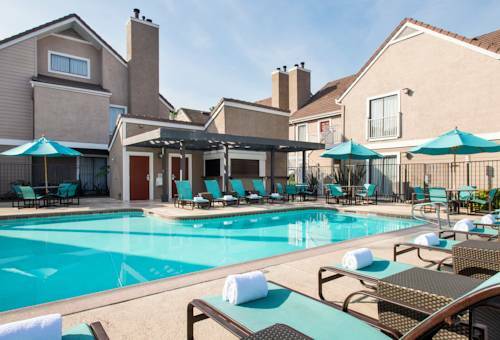 Enjoy an enhanced extended stay experience at The Residence Inn Long Beach just 1 mile from Long Beach Airport. Our hotel is centrally located near top attractions including Long Beach Convention Center, Long Beach Port, Cal State Long Beach, Aquarium of the Pacific, Queen Mary and Disneyland. Back at the hotel, spread out in style in spacious suites with separate areas to live, work, dine and dream. Take advantage of our hotel's grocery shopping service and prepare meals in accommodations featuring fully equipped kitchens or fuel up at our fresh, hot and free breakfast buffet. Throughout your stay, stay in touch with the help of complimentary high-speed Internet access. During downtime, workout in our on-site fitness center, or enjoy a game of basketball, then take a swim in our outdoor pool. In the evenings, join The Residence Inn Mix, our evening social with free fare and cocktails. Pets are also welcomed at our extended stay hotel. Book now and feel at home during your next stay in Long Beach! ~17 miles from Long Beach.